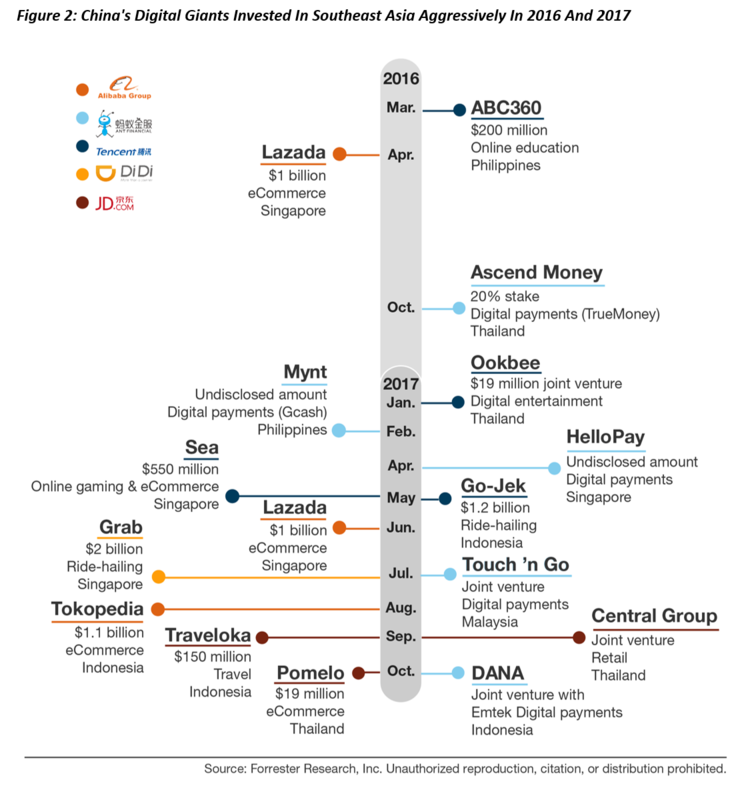 As China battles the US for global digital leadership, Chinese digital giants like Alibaba and Tencent are taking the first beachhead: Southeast Asia (SEA). My latest report, Walled Garden No More: Digital China Goes Global, tells how China’s global digital expansion is changing the digital ecosystems in SEA and how marketers should prepare for success. China is eclipsing the US and Europe in digital: Its value of mobile payments is 11 times greater than that of the US; mobile retail sales will nearly triple that of the US and EU-7 combined in 2018. 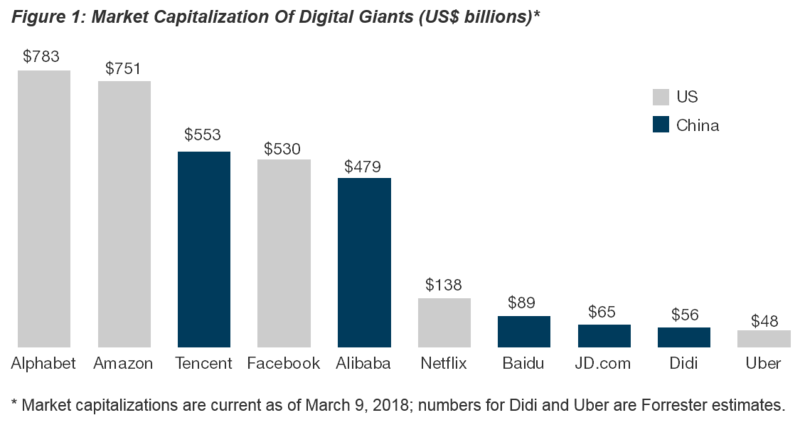 Chinese digital giants’ market capitalizations have skyrocketed to levels approaching their US counterparts, equipping them with ample capital to compete on a global battlefield (see Figure 1). China is leaping forward in digital innovation. Armed with massively successful digital innovations in eCommerce, social media, and mobile payments, China’s digital giants are ready to fight their US counterparts for global digital dominance. Leading digital platforms like WeChat and Alipay already provide more sophisticated features to both consumers and marketers than their global counterparts do. We expect the same to happen with other digital innovations such as AR and AI. SEA is the first station on China’s Digital Silk Road. As the Trump administration’s “America First” approach has the US turning inward, China is going full steam ahead with globalization via its massive Belt and Road Initiative (BRI), which promises that China will invest more than US$1 trillion across some 60 countries. Under BRI, China’s foreign direct investment (FDI) in ASEAN increased by 52% from 2015 to 2016 even as the US cut its FDI in ASEAN in half. Chinese expansion is remaking digital ecosystems in SEA. In 2017, Alibaba, Ant Financial, Tencent, Didi, and JD.com invested a combined $6 billion in M&A in SEA. In contrast, their US counterparts invested less than $1 billion in the region (see Figure 2). Chinese firms invested aggressively in local digital platforms like Lazada, Grab, and Go-Jek that dominate the mobile moments of SEA consumers. The scale and depth of the consumer data that China’s digital giants own are making them serious competitors to Facebook and Google in SEA. 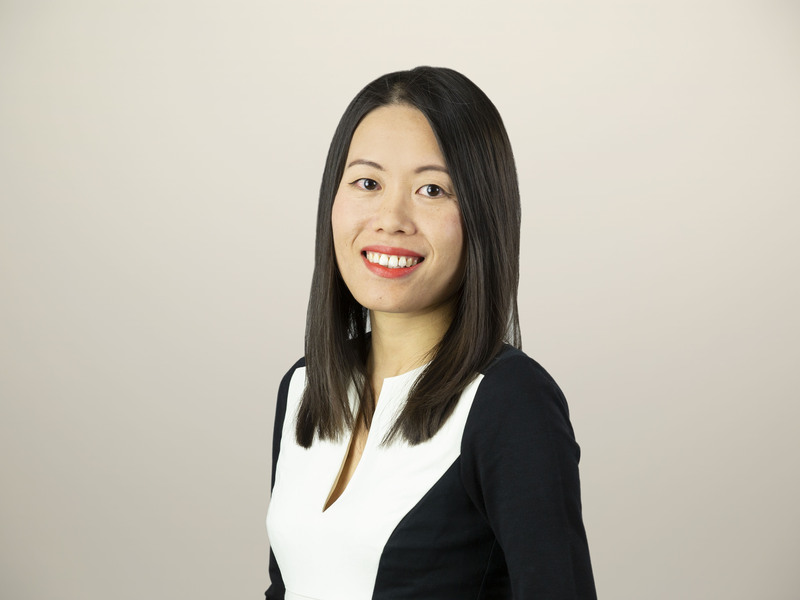 To understand why Chinese digital players have an edge in SEA, how marketers should adapt their digital strategy to an expanding ecosystem, and why the game will get much tougher for US digital giants, Forrester clients can read the full report.